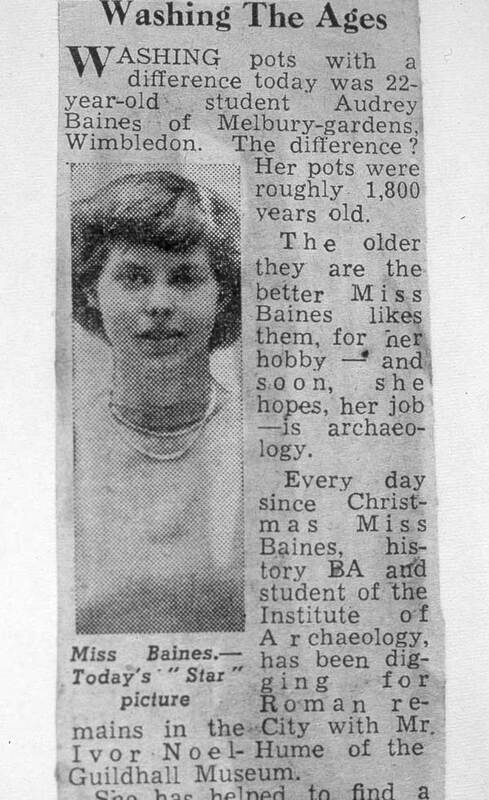 Audrey Baines (later to become Audrey Noël Hume), earned a history BA at Bristol University, before spending the summer of 1947 excavating a Roman villa at nearby King’s Weston. 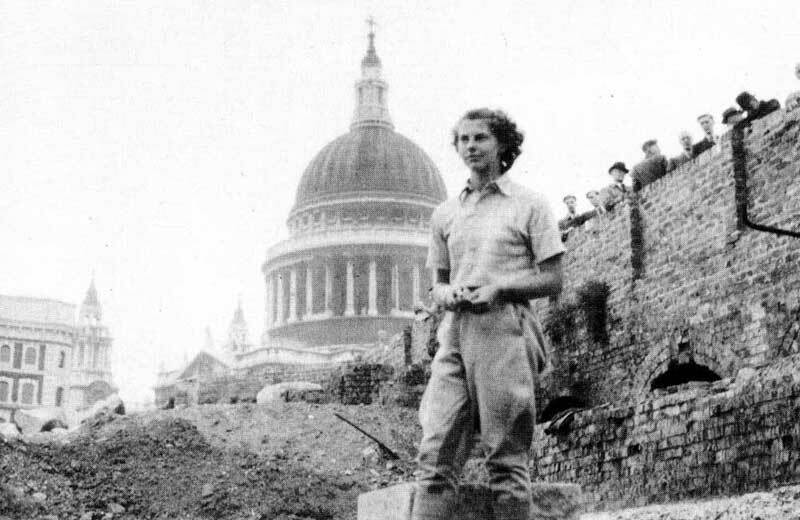 Back in London, she worked for several months as a volunteer for the Roman and Mediaeval Excavation Council (RMLEC) on a bombed site in Queen Victoria Street before enrolling for the diploma course at London’s Institute of Archaeology, under the tutorage of Eric Mortimer Wheeler. When Wheeler unexpectedly accepted a short-term advisory trip to India, Audrey decided to drop out of the course, choosing instead to go and work for Ivor Noël Hume at St Swithin's House in 1949, and a year later joined the staff of the City of London's Guildhall Museum as an archaeological assistant. From 1954 to 1956 she was co-curator of the John Evelyn Museum in Wimbledon. ‘Washing the Ages’ press cutting. It was during this time that she wrote or co-authored two books on reptiles. She had been given a tortoise in the early 1930s by her father and later acquired another seven. The first was killed after being caught and dropped onto concrete from a height by an owl. After her marriage, they lived on the top floor of her mother’s house in Wimbledon (which had been rebuilt after being hit by a bomb in the war) and Noel was persuaded that tortoises should be acquired. They were, and eventually the collection included truly tropical as well Mediterranean species, terrapins, caimans, lizards and newts in the garden and in the house. 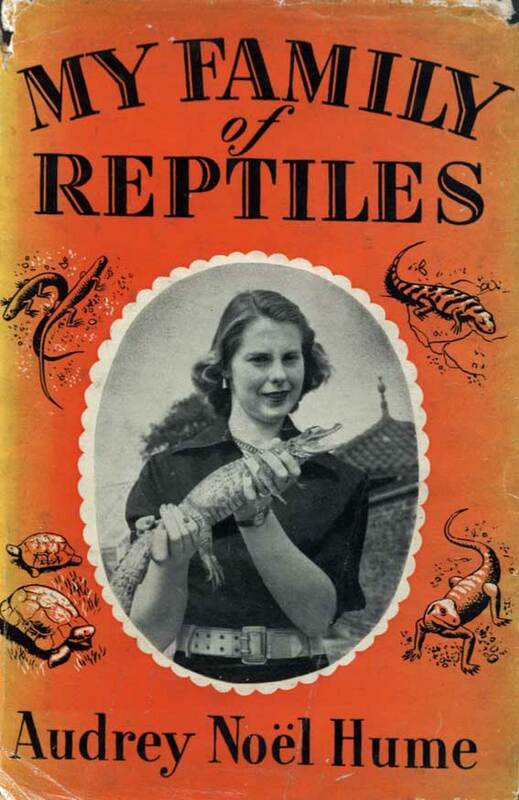 ‘My Family of Reptiles’ book, written by Audrey in 1955. Audrey and Noel were invited as consultants to Colonial Williamsburg in Virginia in 1956, before returning in 1957 to accept permanent appointments in the department of archaeology where they remained, he as director and she as curator, for the rest of their careers. On their departure to the New World, they were accompanied by their pet tortoise ‘Tigillinus’, who Audrey carried onto the plane, airside security clearly being a bit more relaxed in those days. 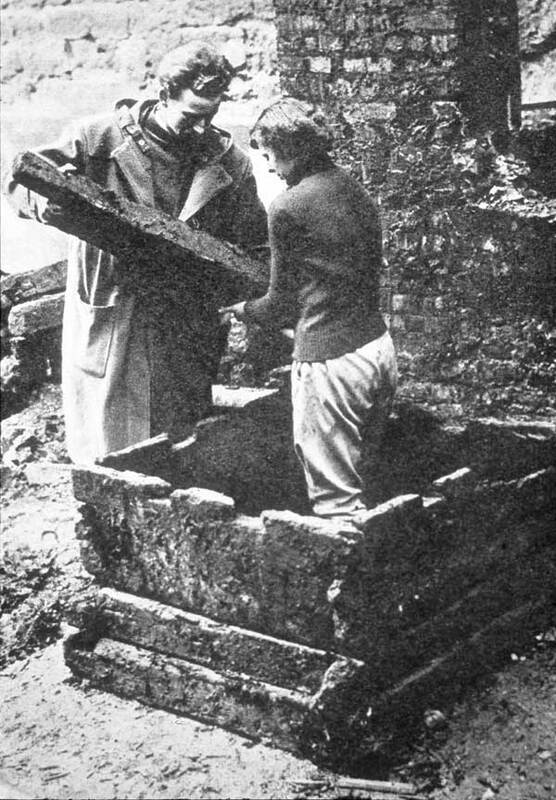 Audrey and Noel reassembling the lower section of a Roman well recovered from St Swithin’s House in 1949.